Intuitive Being offers a range of wellness and counseling services that are rooted in the idea that we all come into this world as our most pure version of ourselves, with all our illnesses, unproductive mental states and imbalances being a product of our experiences, emotions and thoughts throughout the course of our lifetime. The older the experience, emotion or thought, the more power it has taken on, and the more impact is has on our present. All her life, Mandy has sought to make the world a better place, and although she still loves to protest, her passion is in the heart-to-heart support of people to become the best and happiest versions of themselves. Mandy came to Olympia in 1998 to attend the The Evergreen State College, where she graduated with a degree in political economy, environmental science, and art, while also working with Latin American solidarity campaigns and teaching as a volunteer in the state prison at Shelton. She has been highly influenced by the Anti-Oppression curriculum of Dr. Leticia Nieto, which places our personal, emotional struggles in the context of our place and privileges in society. Her commitment to social and ecological justice is a huge motivation to help individuals clear physical and emotional obstacles that prevent us from living as we know we’d like to live. She discovered her love of healing arts while searching for a deeper level of that transformation. She graduated from Brenneke School of Massage in 2008, and soon after enrolled in the most in-depth cranio-sacral therapy program available in Washington, taught by acupuncturist Ursula Popp. The skills of cranial work combine beautifully with the energetic healing techniques of her mentor, Jennifer Nevy, including Body Code, Emotion Code, Natural Force Healing, Reiki, and Hands of Light. Both of these programs include a foundation of Five Elements Chinese Medicine, which seeks to understand the body and psyche as a natural system that heals through balancing itself. She has also continued her education though Aromatherapy, Sound Healing, and Herbal Medicine. (She loves to study and she loves to share what she learns.) She uses Applied Kinesiology both as a tool in these healing techniques, and to discover which techniques are most helpful for each custom session. Everything she offers can be used for the treatment of acute or chronic injuries, complementary care, and relaxation, or personal growth, prevention, and wellness. Dan’s journey to the healing arts was an unconventional one. He spent 15 years working primarily in Fortune 500 healthcare companies, where he learned the good and the bad of the “corporate” side of healthcare. He always wanted to have a more direct role in helping people with their health and healing and set about doing just that. In 2011, he left the Fortune 500 world and founded Dorje Media, an independent agency rooted in the principles of authenticity in marketing. Through Dorje Media, he was able to offer a $1.5 million toolkit of marketing skills to small business clients, counseling them from conception through to launch of their businesses. Later, he and Mandy studied Applied Kinesiology and the Emotion Code and realized the incredible power it can have in helping people with their personal, professional and health transformation. Together, they formed Intuitive Being as a collaborative practice and network of practitioners and counselors who integrate Applied Kinesiology as a central tool for helping clients better access and manage their physical, mental and emotional selves. Dan is available for personal counseling, professional coaching and marketing consulting. He uses Applied Kinesiology as a core resource in all of these areas and loves helping clients recognize and embrace their own power, ultimately coaching through the process of pursuing their goals. Don’t just take our word for it. Hear from our clients about their experiences with our practitioners. Here’s a list of like-minded healing arts practitioners in or near Olympia whom Intuitive Being recommends to clients. Because no one practitioner can provide you all that you need for optimum health. It takes a village, as they say, and we are happy to refer our clients out to the following practitioners. Intuitive Being is proudly partnered with Oly Float, with whom we have the privilege of sharing our office at The Soul Space. Floatation therapy offers an outstanding compliment to our services, being focused on full relaxation of the body, release of mental stress, and unfolding of the soul. The mental, physical and spiritual benefits of a good float are extensive. You can find out more at www.OlyFloat.com by calling (360) 972-3031. 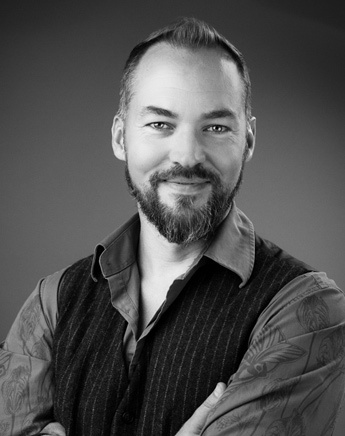 Dr. Bryson J. Langel – Dr. Langel practices at VanQuaethem Chiropractic Clinic on the west side of Olympia. The number of diagnostic tools and technologies he uses to fully understand his patients’ specific medical condition is truly impressive, and the number of techniques and disciplines he has learned and added to his practice over the years makes him a superhero of chiropractic care. As an example, he is one of the few chiropractors in the region to utilize the Blair Upper Cervical Technique, an approach we have personally found to be incredibly effective for neck pain where others have repeatedly failed. His deep care for his patients’ outcomes, his extensive technical expertise, and his evolving perspective of the human body as more than simply a biomechanistic being is perfectly aligned with the philosophy of Intuitive Being. He goes beyond the usual maintenance regime that chiropractic medicine can often fall into, and seeks true and permanent resolutions to imbalances in both the skeletal and nervous systems. More information on Dr. Langel can be found at www.langelchiropractic.org, or you can schedule an appointment with him by calling (360) 943-6206. You can follow him on Facebook at: https://www.facebook.com/DrBrysonLangelChiropractor. 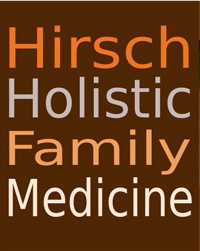 For more info, please visit their web site at http://www.doctorevan.com, call their office at (360) 464-9965 or Like their Facebook page at https://www.facebook.com/Hirsch.Holistic. 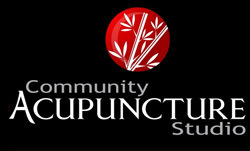 There are many excellent acupuncturists in Olympia, but for overall community service, excellent technical expertise and value, we recommend the Olympia Community Acupunture Studio on Olympia’s east side. CAS are firm believers in making acupuncture available to everyone, and as such offer their services at an incredible value, charging on a sliding scale of $20-$40 afer your initial visit, based on what you can afford. Incredible treatment, a relaxing take-as-much-time-as-you-need environment, comfy armchairs, and affordable pricing. It doesn’t really get much better than that. On the web at http://cas-olympia.com, or by phone at (360) 943-6730. Similar to Soul Space, New Leaf Hyperbarics in Tacoma (soon to be in Olympia too!) offers an amazing therapy that is complimentary to almost any other medical treatment you might be pursuing. Used for an incredible array of therapeutic applications, oxygen therapy can help everything from ADD to TBI. 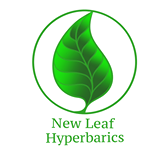 Check them out at www.newleafhyperbarics.com, https://www.facebook.com/NewLeafHyperbarics or give them a call at 1-800-689-1254. This might seem like an unusual inclusion in a list of healthcare practitioners, but really, the flow of your home and working space really does have a very profound effect on your psychological, emotional, energetic, and therefore ultimately physical, health. 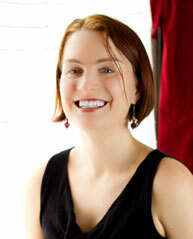 For Feng Shui consultations, we recommend Rebecca at Wind and Water Play. Yes, cake. Because. Cake. It’s food for the soul. But the cake has to be actually good for you to be listed here, right? Or at least good for the soul without being bad for the body. Enter: Cobb’s. Naturally Naughty Treats, as their exceptional baker, Stephen Cobb, calls them. Cobb’s uses all natural – local, raw and organic – ingredients in his cakes, and never uses gluten or dairy. Typically, this might be a recipe for blandness, but Cobb’s somehow pulls off incredibly sweet, moist and tasty cakes that defy reason. They’re the ultimate eat-as-much-as-you-want desserts. You can discover Cobb’s naturally naughty treats at www.cobbstreats.com.